Ann Dixon, who was born in England in 1850, purchased these lots in 1906 and had the house constructed in 1909. From 1920 to 1989 it was the home of Henry “Rico” and Mary Zarini and their family. Henry was a butcher who later remembered the 12 inch tall trees in the front yard in the 1920s. Those trees are now among the tallest trees in Old Town. For more information about Louisville’s Historic Preservation Program contact Felicity Selvoski, 303-335-4594, felicity@louisvilleco.gov. Trailhead Wealth Management is excited to announce that both Bryan Pieper, Partner, and Kristy Tochihara, Director, at Trailhead Wealth Management, LLC here in Downtown Louisville, have been recognized as 2019 Best-in-State Advisors by Forbes Magazine*! This annual list recognizes advisors as among the top in the country, and we are honored to be included in Colorado’s list for a second year. Bryan & Kristy both agree that this recognition reflects our passion for working with Trailhead’s wonderful clients. It’s truly an acknowledgement of the entire team and could not have happened without each person at Trailhead! *The Forbes Best in State Wealth Advisors ranking algorithm is based on industry experience, interviews, compliance records, assets under management, revenue and other criteria by SHOOK Research, LLC, which does not receive compensation from the advisors or their firms in exchange for placement on a ranking. Investment performance is not a criterion. 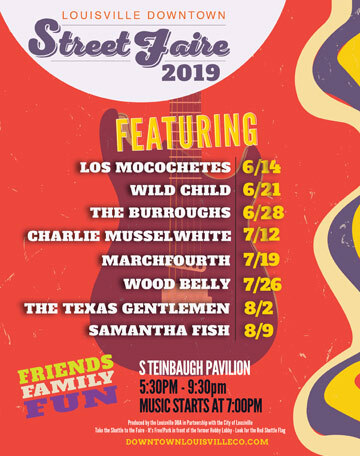 Interested in a booth for the 2019 Street Faire Season? Applications for both food and non-food vendors are now available on our website. Spring is the perfect time to hit the streets of downtown for a fantastic evening of Art, Music, Food and Wine. 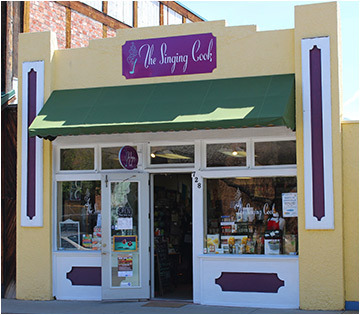 Visit all the participating galleries, shops, cafes, and other businesses that come together for this monthly event. Bring your friends, family and visitors for a great night out in Louisville. Stop by the Museum during Art Walk to learn about hidden and interesting aspects of Louisville history and to tour the historic buildings on our Museum campus at 1001 Main St. during Louisville’s First Friday Art Walks! Stereoscopes and View-Masters were popular ways to show images in what appeared to be 3D and were often used to view photos of far-flung locales. Come by the Historical Museum during the First Friday Art Walk in April to try out stereoscopes and a View-Master, and to view historic stereoscope cards of Louisville from the early 1900s. 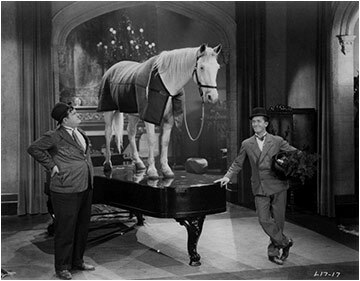 Join the Louisville Cultural Council for an evening of silent movies complete with live piano accompaniment by Rodney Sauer. The evening includes two films: the short comedy “Safety Last” followed by the Laurel and Hardy film, “Wrong Again.” Tickets $10, available at the door. The Louisville Cultural Council presents a free speaker event exploring Colorado music history. 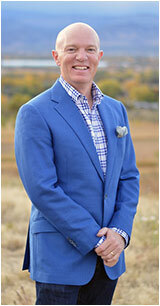 Hear about Colorado’s music history from Colorado Music Experience Executive Director and Louisville resident G. Brown. Free, doors open at 6:30 pm. Little Women, the Broadway Musical, follows the adventures of Jo, Meg, Beth, and Amy March as they grow up in Civil War America. This timeless tale has been given new life as an exhilarating new musical filled with glorious song, dance, and a few tears. It celebrates personal discovery and coming of age in a time of challenge and transformation. Purchase Tickets. CenterStage Theatre Company is excited to offer The Animal Farm Writing/Acting Workshop: A collaboration with film and theatre artist, Mathew Klickstein, in the creative reimagining of the classic story, Animal Farm. This workshop – part improv, part discussion group, part creative play – is for youth ages 8 to 14 who will have the opportunity to share their unique voices and perspectives in concocting a new script based on the themes of the famous Orwell story. More info on our website www.centerstagetheatrecompany.org. For all scheduled library programs visit www.louisville-library.org. Louisville is an awesome base camp for day hikers. With so much great hiking so close by, it is important to know how and where to begin. Using abundant photographs, veteran Longmont hiker and author Pete KJ will present the geography, flora, and fauna, and discuss the simple clothing, equipment, and safety considerations needed to enjoy our incredible backyard to its fullest. He will also speak on hiking strategies such as pacing, timing, and seasons. 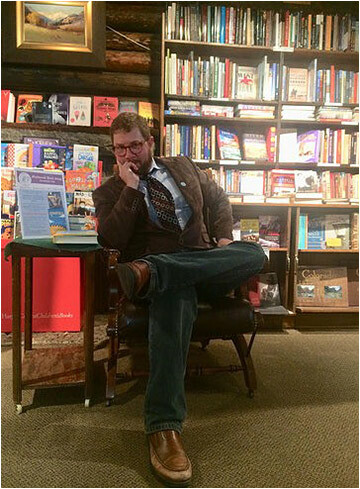 He will wrap with some of his favorite trail choices for spring and summer as described in his new guidebook, Base Camp Denver: 101 Hikes in Colorado’s Front Range, and delve into the stories that go with them. Bring your curiosity, and get ready to write your own stories by going out and hiking these dazzling trails! Need to practice your Spanish speaking skills? Come to our free, monthly Spanish conversation group! You’ll be able to practice with other Teens and Adults, and get feedback and tips from Spanish tutor, Paul Paiva. This is a great opportunity to improve your Spanish without getting graded! No registration is required. The City Planning Dept. has given the Museum slides of Louisville taken about 40 years ago, with most of the images showing areas before they were developed. Come discover a side of Louisville not often seen now. 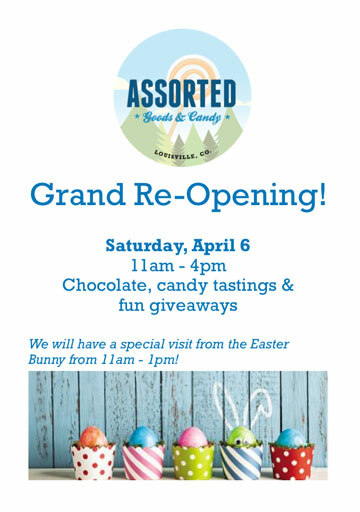 Celebrate the Grand Re-Opening of Assorted Goods & Candy on April 6th! New owner, Sarah Lynch, has made this downtown gem all her own and she is excited to share the magic with you. Stop in for chocolates, candy tastings, giveaways and a special visit from none other than the Easter Bunny from 11:00 am – 1:00 pm! This is an event not to be missed! 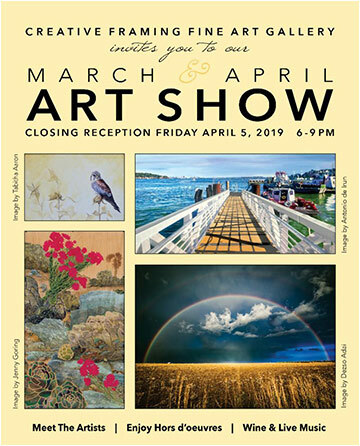 Join us for a very special evening of art, including the closing reception honoring our outstanding featured artists! Also, the personal collection of renowned artist Greta Greenfield will be featured in the East Side Gallery! Recently retired, this is the final gallery presentation of her acclaimed abstract paintings. You don’t want to miss out on these rare private works offered to the public at exceptional pricing for a limited time. We also have new arrivals in our Uno de 50 women’s and men’s jewelry collections. These are stunning pieces that make wonderful gifts for any occasion! Join Pica’s in helping out a local school! 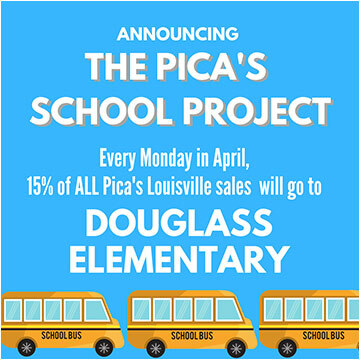 Every Monday for the month of April 15% of all sales at Pica’s will go to Douglass Elementary. So pop down on a Monday, eat well and support a local school. It’s a win-win! 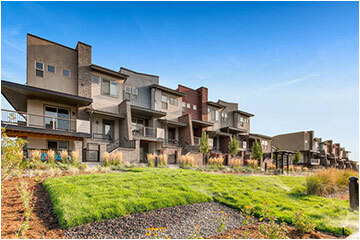 Boulder Creek’s DELO townhomes are open for personal tours! Low-maintenance homes in Old Town Louisville with 3-4 bedrooms are a quick walk from the shops and restaurants of Main Street, and are now available in the $600s. Tour DELO’s several professionally decorated model homes at 1010 Griffith and enter to win a $100 gift card to POR Wine House (now in their new location on Main Street)! Learn more by visiting LiveDELO.com.